Eleven-year-old Annie Brown is used to being on the losing end of comparisons to her almost-always best friend Savannah. Savannah is MVP of the track team, has straight As, and, predictably, wins the most coveted school spirit award on the last day of 5th grade. Fortunately, Annie does have one very specialized skill. Inspired by As Seen on TV commercials, Annie likes to invent products and write clever sales pitches to go along with them. So when an opportunity arises to audition for a local web show called The Cat's Meow, Annie knows her future is set. She's going to wow those producers with her fabulous writing and made-for-TV announcer voice. Of course, things don't happen quite according to plan, and soon Annie is worried about losing both the opportunity she's been training for her whole life, and her best friend. This is such a fun book! 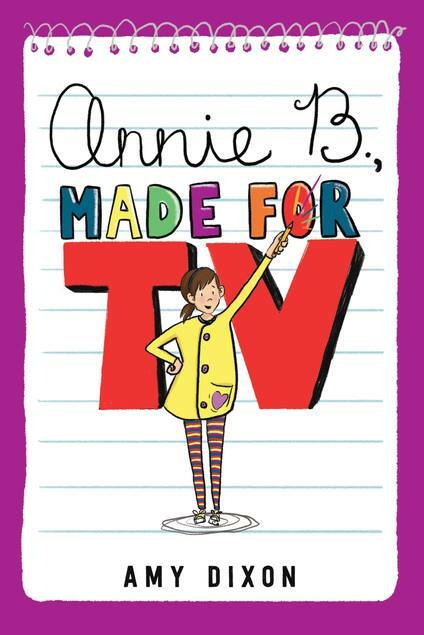 When her always-first-place best friend Savannah suggests Annie audition to be the host of a new kids' web show, Annie's positive this is exactly what she's been waiting for. But things don't exactly go as planned, and Annie ends up accidentally revealing her deepest, darkest feelings of jealousy toward Savannah. With the help of her best guy friend (who I absolutely loved in this story! ), Annie seeks to win back Savannah's friendship and create the best infomercial of all time. Annie's wild inventions are sprinkled throughout the book. Full of humor and heart, this is a must-read for any kid who's ever felt second-place next to his or her best friend.